There is currently 1 home listed for sale at The Uplands of Scio Ridge and last year, 9 homes sold. $567,900. 3224 Bellflower Ct., Ann Arbor. 3065 sq. 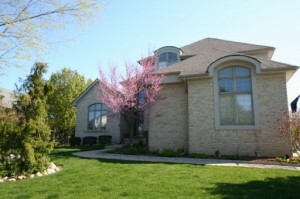 ft., +1716 in finished lower level, 5 bedrooms and 4 baths. $514,000. 1714 Chicory Ridge, Ann Arbor. 2652 sq. ft., +1260 in finished lower level, 5 bedrooms and 3.1 baths. $499,000. 1747 Chicory Ridge, Ann Arbor. 3194 square feet with 4 bedrooms and 2.1 baths. $480,000. 3201 Rockcress Ct., Ann Arbor. 2885 sq. ft., +966 in finished lower level, 4 bedrooms and 3.1 baths. $460,000. 1769 Cranberry Ct., Ann Arbor. 2724 sq. ft., +1100 in finished lower level, 4 bedrooms and 2.1 baths. $436,400. 1908 Snowberry Ridge, Ann Arbor. 2603 sq. ft., +586 in finished lower level, 4 bedrooms and 2.1 baths. $433,500. 1733 Chicory Ridge, Ann Arbor. 2826 sq. ft., +300 in finished lower level, 3 bedrooms and 3.1 baths. $424,700. 1936 Hedgenettle Ct., Ann Arbor. 2304 square feet with 4 bedrooms and 2.1 baths. 2754 square feet with 5 bedrooms and 3 full baths. Beautiful hardwood floors throughout the foyer, kitchen, eating space, and family room. Finished lower level has a rec room, exercise room, bedroom, and full bath. 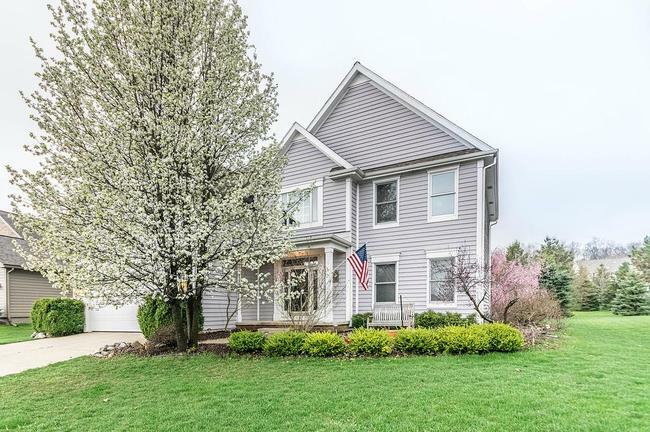 For more information on 1784 Chicory Ridge, or to request a private showing, contact the Ann Arbor Real Estate specialists with The Bouma Group today at 734-761-3060 or email us at info@bouma.com. View photos, market statistics and more for Uplands at Scio Ridge here! There are currently 2 homes listed for sale at The Uplands of Scio Ridge, with 1 home under contract with a buyer. In the past 12 months, 3 homes have sold. 1940 Hedgenettle Ct., Ann Arbor. $450,000. 2429 sq. 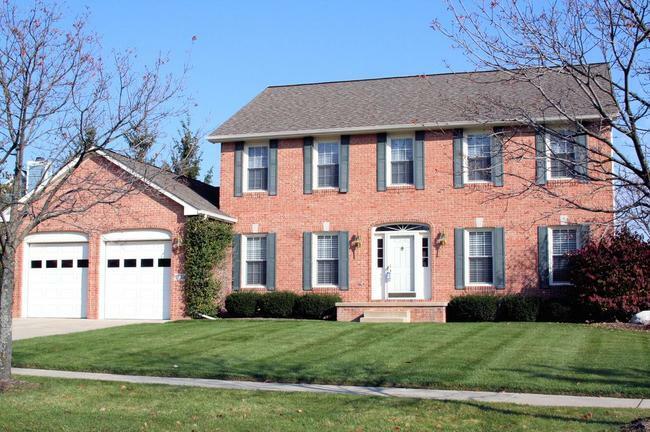 ft. +1757 in finished lower level, 4 bedrooms, 3.1 baths. 3233 Rockcress Ct., Ann Arbor. $400,000. 2586 sq. ft. +883 in finished lower level, 3 bedrooms, 3.1 baths. 1893 Chicory Ridge, Ann Arbor. $425,000. 2704 sq. ft. +1357 in finished lower level, 4 bedrooms, 3.1 baths. 1901 Chicory Ridge, Ann Arbor. $415,102. 2545 sq. ft. +1300 in finished lower level, 4 bedrooms, 3.2 baths. 3209 Bellflower, Ann Arbor. $345,000. 2448 sq. 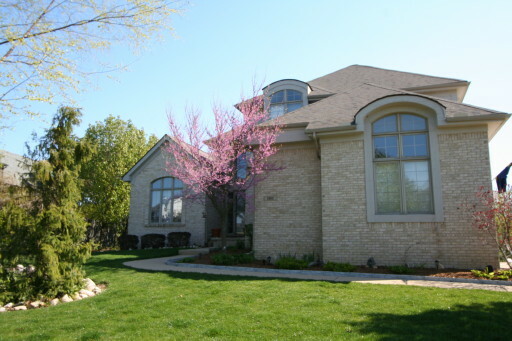 ft. +1066 in finished lower level, 5 bedrooms, 3.1 baths. In 2011 at The Uplands, 2 homes sold with an average sale price of $378,000 and average price per square foot of $128.77. Last year, 4 homes sold with an ASP of $401,355, up 6%, and an A$/SF of $148.74, up 15.5%. For more information on real estate values at this upscale Ann Arbor subdivision, contact the specialists with The Bouma Group today at 734-761-3060 or info@bouma.com today! Thinking of selling your home? Read more about our fantastic Seller Services here! For more details on 1893 Chicory Ridge, or to schedule your private showing for this spacious Ann Arbor home, contact the specialists with The Bouma Group today at 734-761-3060. And to view more Washtenaw County homes and condos, visit our Ann Arbor Real Estate website here! The Uplands Subdivision, Ann Arbor is an upscale neighborhood of distinct homes. Not your cookie cutter subdivision, The Uplands features a wide array of home styles and floor plans. There is currently 1 home listed for sale and so far this year, 2 homes have sold. $419,000. 2808 sq. ft. +1414 in finished lower level, 4 bedrooms and 2.1 baths. $305,000. 2733 sq. ft. +500 in finished lower level, 4 bedrooms and 3.1 baths. Last year at The Uplands, Ann Arbor 3 homes sold with an average sale price of $443,666 and average price per square foot of $154.20. This year, with only 2 sales in the $300k range, the ASP has dropped to $328,500 and A$/SF to $128.77. To learn more about price trends at The Uplands, or the nearby Ann Arbor neighborhoods: The Ravines, Hometown Village of Ann Arbor, or The Meadowinds, contact the Real Estate experts at The Bouma Group today at 734-761-3060 or info@bouma.com. And to see up to date listing and sold data, plus floor plans, by-laws and more, visit the Ann Arbor Subdivision Hotline here.